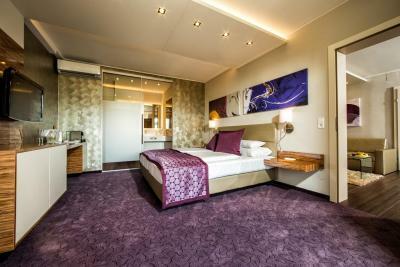 Lock in a great price for Thermalhotel Leitner – rated 8.9 by recent guests! Food was delicious and really special combinations made with love!! Sehr gutes Frühstück ! Küche ausgezeichnet ! Sehr sauber ! Ein großes Lob den Reinigungskräften ! Sehr schönes Zimmer. Freundliches und bemühtes Personal. Frühstück: alles da was ein hungriger Urlauber braucht Abendessen super! Zimmermädchen unauffällig wie es sein soll. Die Kulinarik war sehr gut. Die Betten waren sehr bequem und das Personal sehr freundlich und hilfsbereit. Frühstück sehr gut! Abendmenü mit Vorspeisenbuffet und Salatbuffet wirklich excellent! Sehr nettes Servicepersonal! Freundliches Personal, das alle Wünsche erfüllt, gutes, freundliches Service, lockere Atmosphäre, tolles, reichhaltiges Frühstücksbuffet, Sonntag sogar mit Lachs und Sekt. Frühstück war echt Perfekt! Bett war auch sehr gut! Weich und sehr bequem wir hatten uns sehr wohl gefühlt! Abendessen war sehr Zufriedenstellent! Wir würden wieder kommen ! Auch im Hotel die Sauna und die Wasserbetten sind echt supa! Wir hatten nie angst, das wir keinen Platz zum ausruhen fanden. Thermalhotel Leitner This rating is a reflection of how the property compares to the industry standard when it comes to price, facilities and services available. It's based on a self-evaluation by the property. Use this rating to help choose your stay! Surrounded by the gently rolling hills of Styria’s Thermal Region, Thermalhotel Leitner offers free-of-charge access to the Loipersdorf Thermal Spa through a bathrobe hall. 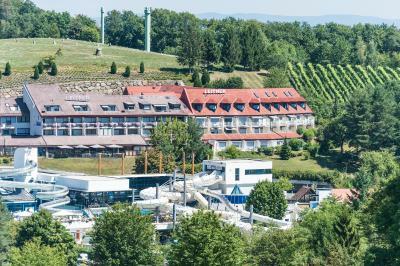 Daily admission to the Loipersdorf Thermal Spa (07:00 to 21:00), as well as a bathrobe, a bathing towel and a beach bag for the duration of your stay, are included in the room price. Thermalhotel Leitner features its own sauna world with Finnish sauna, herbal sauna, steam bath and relaxation area with waterbeds. 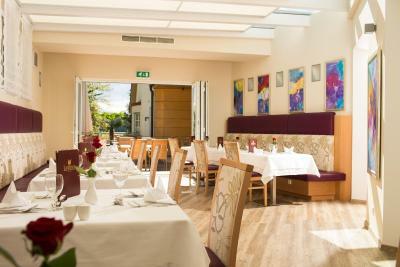 The Leitner Thermalhotel's restaurant includes a spacious terrace, a lounge, and a winter garden. The rooms feature satellite and Sky TV channels. 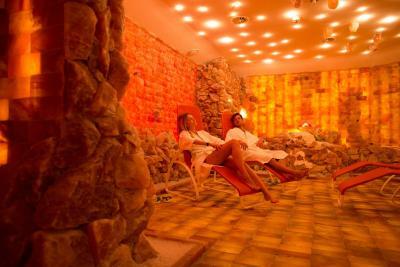 The thermal spa’s relaxation area has a separate area for hotel guests. 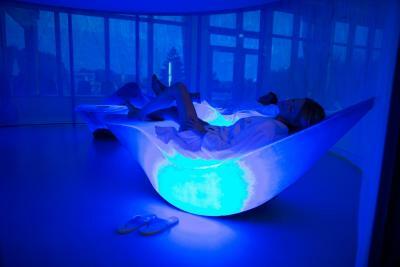 Many sports and activity programs, as well as beauty therapies, are offered. 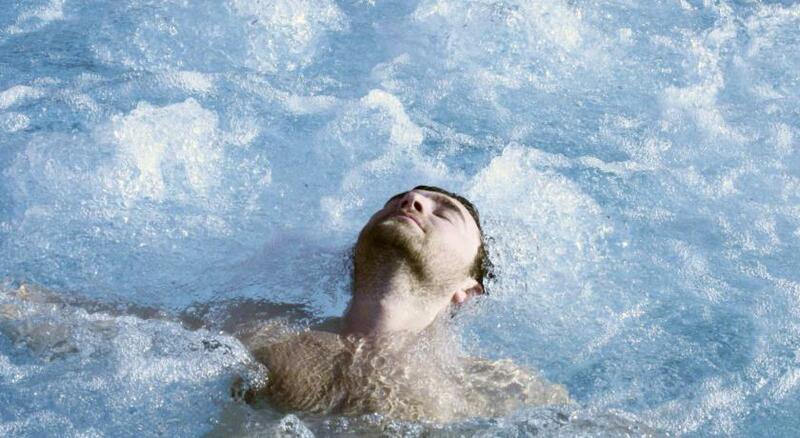 Admission to the thermal spa is also included on the arrival and departure days. 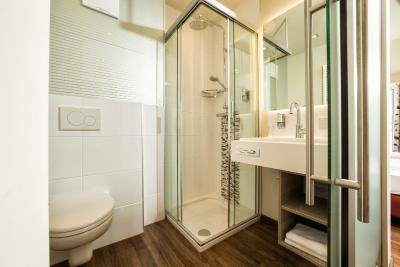 When would you like to stay at Thermalhotel Leitner? Classic-style room features a balcony with views over the thermal spa. Apartment for 3 to 4 people, on 2 floors connected with a spiral staircase. 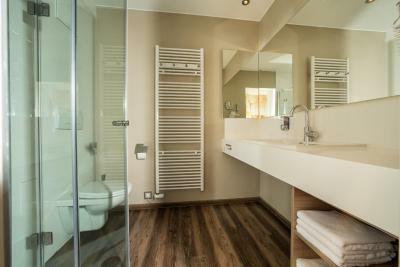 This room offers a balcony and views of the thermal spa. 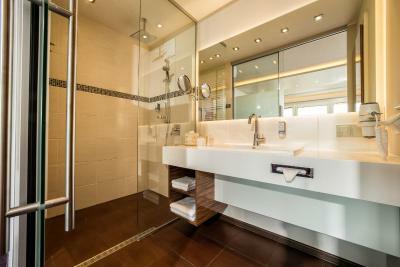 Suite featuring a bedroom, a living room with a sofa, a spacious bathroom with a rain shower. Some units come with a balcony. A Nespresso Coffee Machine and Sky-TV are provided. House Rules Thermalhotel Leitner takes special requests – add in the next step! Debit card Cash Thermalhotel Leitner accepts these cards and reserves the right to temporarily hold an amount prior to arrival. Thermalhotel Leitner accepts these cards and reserves the right to temporarily hold an amount prior to arrival. Please inform the hotel if you arrive later than 19:00. Pillows, wine offer in restaurant. Food, room equipment and organization.